Here is a few words that will get real sporting drivers to forget about the winter blues for a while. The new Megane R.S. 300 Trophy is the most powerful Renault Sport production car ever. Power has been increased from 280hp to 300hp in New Mégane R.S. 300 Trophy. Torque is also up from 390Nm to 400Nm (manual ) and 420Nm (EDC automatic ). And a turbocharger has been fitted with a ceramic ball bearing system, reducing friction. The rear exhaust silencer has also been fitted with mechanical valve, allowing engine noise adjustment. And if the real motorsport heads aren’t already drooling, how about this list ticked off on the new Renault R.S. 300 Trophy. The Cup chassis is standard (optional on Mégane R.S. 280 ) and includes Torsen mechanical limited slip differential, 25 percent firmer shock absorbers, 30 percent tighter springs, and 10 percent stiffer anti-roll bars. It is also fitted with bi-material 355mm brake discs. Whilst reducing unsprung mass by 1.8kg per wheel, these discs deliver greater heat dissipation during intensive use, making them more resilient if you head to Mondello for a rack outings and vastly reducing the possibility of brake fade. In addition, Brembo calipers. Unique 19 inch ‘Jerez’ alloy wheels, which reduce weight by 2kg per corner compared to R.S. 280 are also standard, and it comes fitted with 245/35 Bridgestone Potenza S001 tyres, which are renowned for offering a high level of grip. 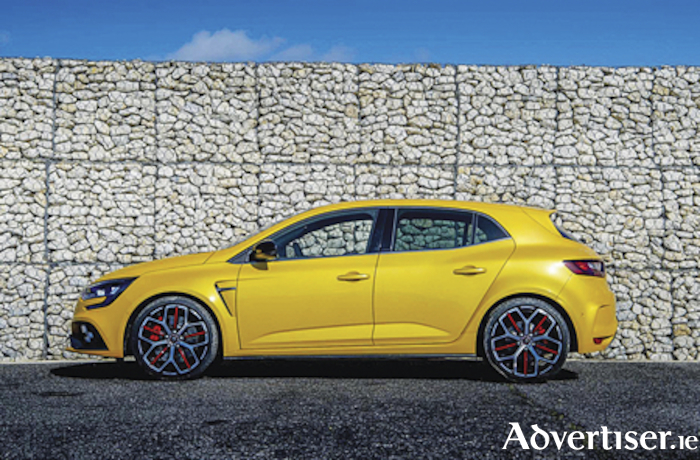 In addition to bringing high-tech features, the new Renault Sport design bespoke styling to the new Megane R.S. 300 Trophy. And one to consider is the optional Recaro seats with Alcantara covering are 20mm lower. Finally, here are are some Megane R.S. 300 Trophy figures: The top speed is 162 mph or 261km/h; It does 0-62 mph or 0-100 km/h in 5.7 seconds, and the CO? (g/km ) is 183. Finally, it offers a claimed fuel economy (combined cycle ) of 38.2 mpg or 7.4 Litres/100km. Culture Music Fiction Blues Hospitality_Recreation Renault high-tech features production car renault sport Brembo recaro Bridgestone Master Shake Harlem Shake Shake!